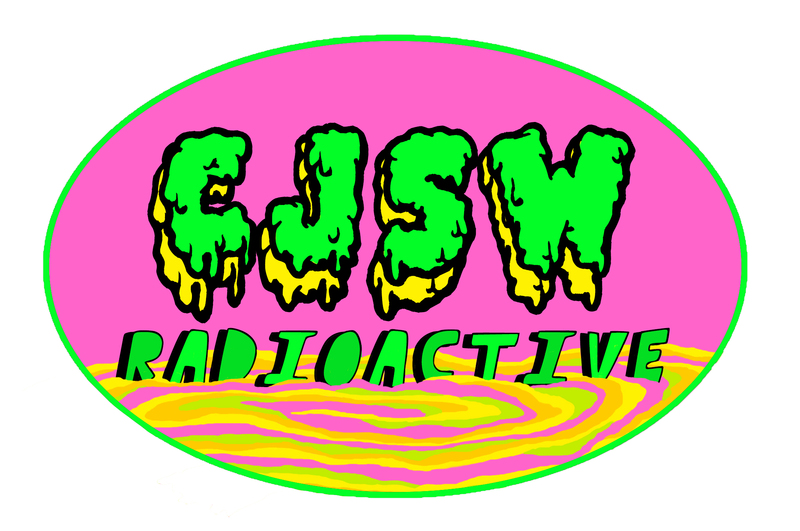 From April 19 through 26, our hosts will be RADIOACTIVE in the community, giving back to all of our listeners with special treats, live broadcasts, live sessions, and so much more! More information on our events happening during this week can be found here! 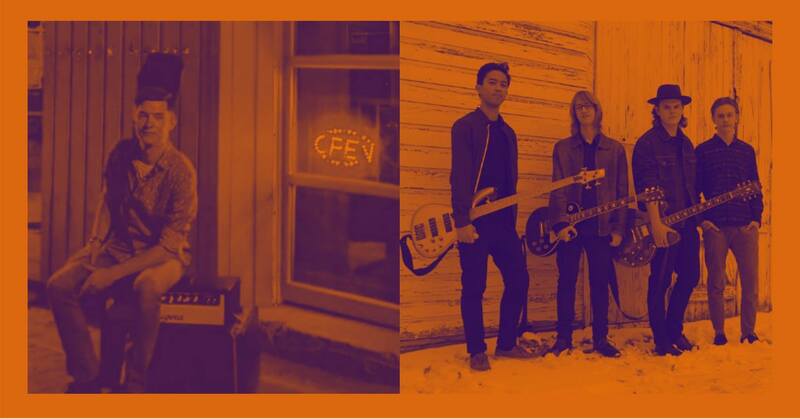 CJSW, Bluesfest, and the Belt Line Neighbourhood Association present Austin Liboiron and The Marcus Trummer Band live at the McHugh House April 12th, from 8pm to 11:30pm. Austin Liboiron: My mother tells me I was trying to hum tunes since before I could speak–but that could just be an embellishment. Nevertheless, I was raised here in Calgary with my five older siblings who were open channels of classic and modern music, which funnelled down into me. My dad, who plays a mean LP, and my mom, who’s taste in music and speakers were part of the reason they began seeing each other, have always made music, really listening and connecting with songs, the center-piece of everything we did. I picked up my brother’s guitar at eight years old and he never saw it again… I’ve now found myself with my own collection of instruments and songs which gives me enormous pride in myself and the music I love. The McHugh House is an all ages venue operating on the traditional territories of the people of the treaty 7 region in southern Alberta and metis nation of Alberta region 3. 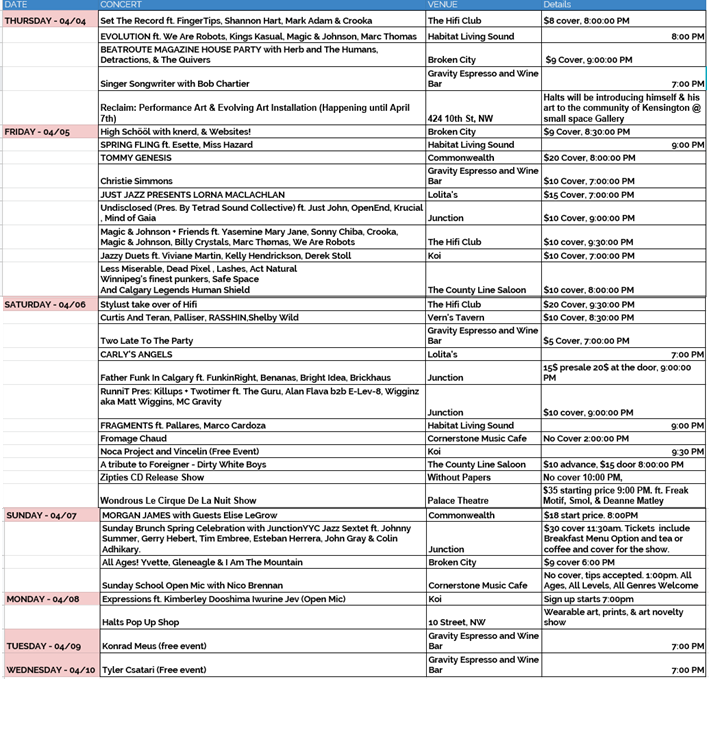 A calendar of all the events happening during the week, posted here every Thursday showcasing the best in Calgary! If you want to be featured on our calendar, email concerts@cjsw.com for more information!